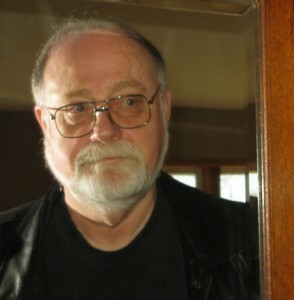 Bill Engleson was active in the child welfare arena for more than 25 years, most of them as a front-line, journeyman, government protection social worker and a dedicated union activist. He surprised himself by taking his leave in March 2002 after a timely early retirement offer. Shortly thereafter, he began an exhilarating eighteen months journey as a program manager for an eclectic urban social service agency, The Lower Mainland Purpose Society. He completed that adventure in December 2003 and moved from the Lower Mainland to Denman Island. His key activities since then have been writing in a number of genres, community volunteering in the arts and social services, a lengthy stint as a marriage commissioner, and chopping wood when required. Bill has written Like a Child to Home principally to depict, in fictional form, aspects of the demanding child welfare world he encountered, experiences not often explored in literature. Like a Child to Home is also very much meant to be a means of paying tribute to the amazingly resilient young people that he met along the way as well as to the hard working adults who shared that journey. In his new book, Confessions of an Inadvertently Gentrifying Soul, a collection of memoir-rich literary essays, many of which appeared in the Denman Island monthly journal, the Flagstone, Bill ruminates about the pluses and the pitfalls of being a citified newcomer relocating to a small, sporadically vociferous, rural community. Though quick to get involved in community affairs, he could not help but examine his transition with a sharply satirical, very public eye. As it is in many places in the world, anyone who is new, who is burdened with their own well-rehearsed and comfortable point of view, will often be eyeballed with a healthy dose of apprehension, no matter how much time elapses. It is possible that this collection of sketches will validate those who always wondered about Bill.